I successfully completed my PCT 2016 Thru hike on August 30 of last season. 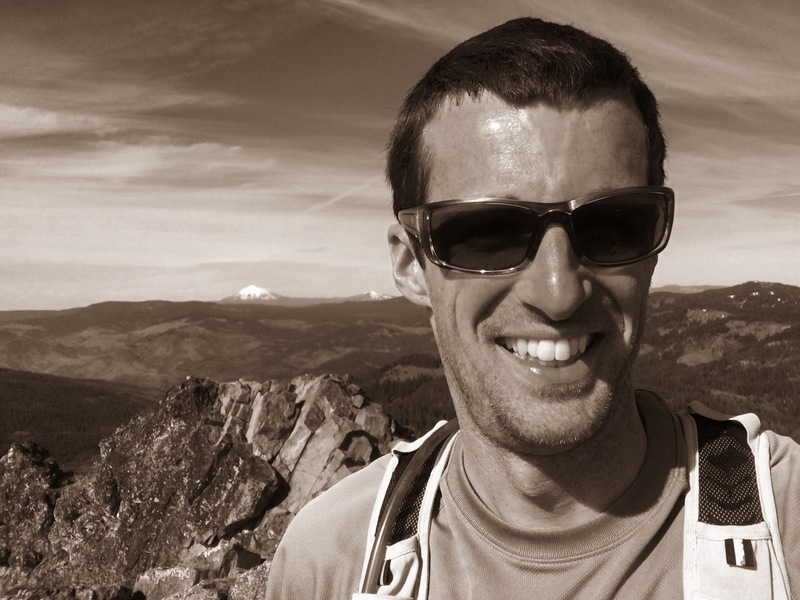 Since then I’ve done a couple of day hikes and cross-country ski trips along the Oregon PCT. Each time my feet are on the trail a surge of excitement flows through me. So many emotions…all the highs and lows I felt. Mostly, it’s a deep sense of calm and stillness that I notice. Now that I’m staging myself for another adventure I’ll be living vicariously through other people’s blogs, providing some trail magic later this summer, and lending a hand with the local PCTA trail crew. Which brings me to the point of writing this article. Now that I’ve done volunteer work on two sections of the Oregon PCT both before and after my Thru hike my appreciation and gratitude is felt on a much deeper level. There were times during my hike last season where certain sections of trail were in pretty bad shape. You’d round a corner or be chest high in thick brush and be thinking “WTF??? Has anyone been out here in recent years for maintenance? Truth is a lot of time and effort goes into planning and organizing volunteer crews and the PCTA is ALWAYS looking for more folks to join in on the fun. 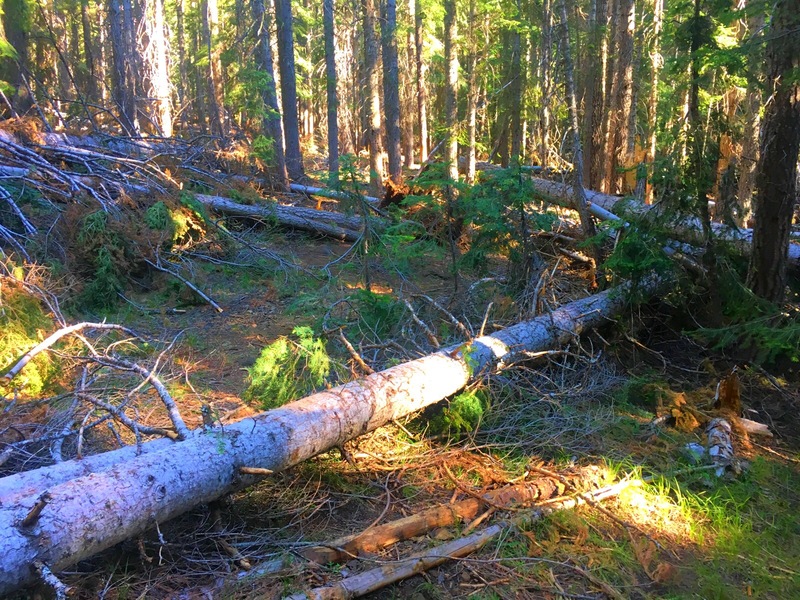 The examples above are just a couple of sections that were noticeably in need of Trail Crew work last season. 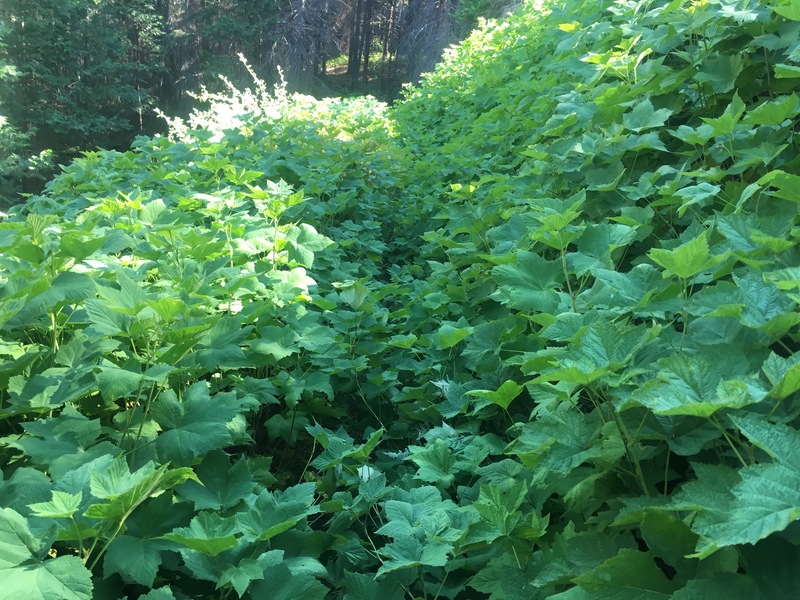 As you can imagine trying to coordinate and keep a pristine trail for 2,660 miles each season is not practical. Fortunately as a whole the PCT is in overall fantastic shape and it’s a privilege to be one of the few hikers that have walked from Mexico to Canada. Now it’s my turn to give back to this amazing community and I’d encourage anybody out there who’s ever thought about or been curious to sign up for an upcoming volunteer trip. The PCTA website has many options to chose from in your local area or if you’re willing to travel. Plus, it’s a great way to make new friends, talk all things “trail,” and inspire future hikers to tackle the PCT in its entirety, section hiking, or simply enjoying a casual day hike. This past weekend I was out near Mt Ashland with the Southern Oregon Rockers. Playing In The Mud Working To Create Drainage Areas For Spring Run Off. 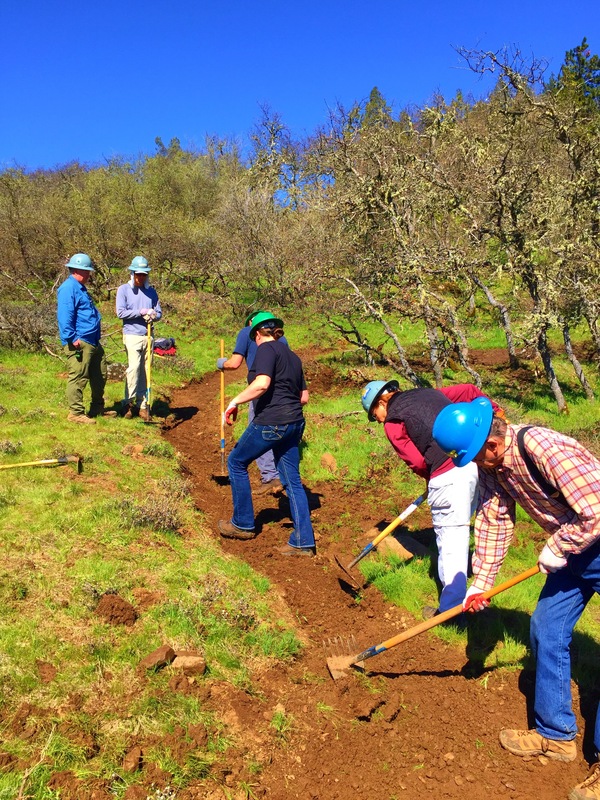 About a dozen volunteers showed up to re-route water drainages, repair tread, remove blow downs, and trim brush. It was such a rewarding experience for me on many levels. Plus, I made some new contacts, learned how to use some new tools, and just got to goof off and share some laughs for the afternoon. Afterwards, I even went for a short hike and climbed to the top of near by Pilot Rock. 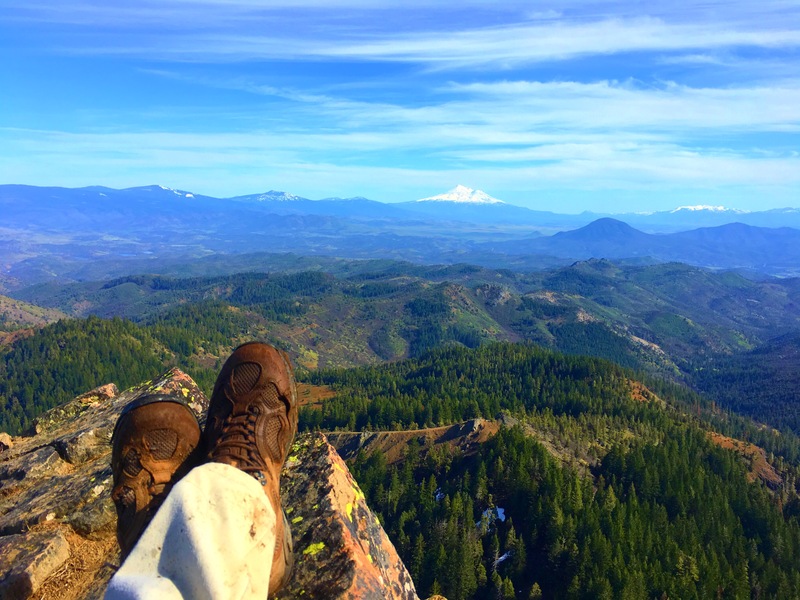 Pilot Rock Is Just A Short Side Trip And Scramble Off The Southern OR PCT. Glorious Views Of Mt Shasta And A Perfect Way To End The Day. ? Wow, those are some fantastic shots. I have it on my bucket list! 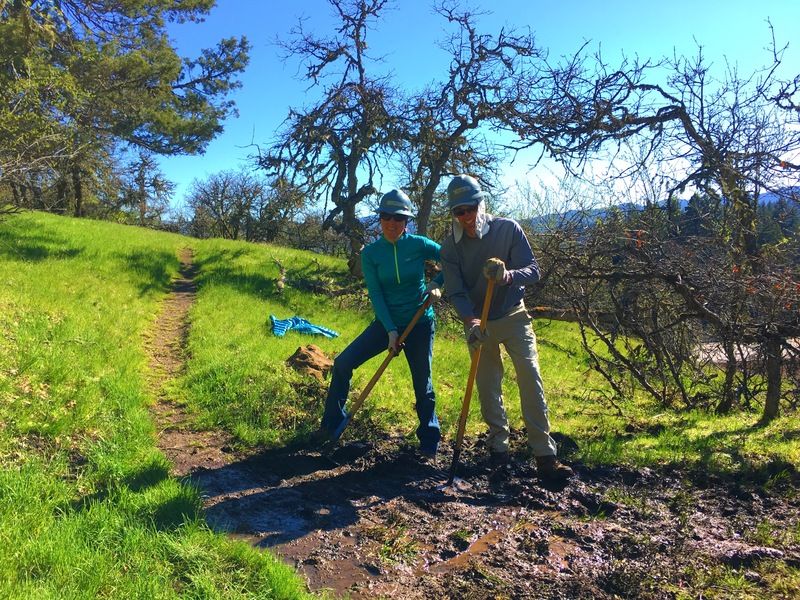 Volunteering for trail maintenance is something I’ve considered doing for years but I always let my uncertainties hold me back. I’m so glad I finally put aside my hesitation! It was just as fun and rewarding as I knew it would be. The sense of accomplishment and giving back is a great feeling but even better is spending a day in the woods with like minded people. I’m glad our paths crossed! I couldn’t agree more! Thanks for the reminder to not get bent out of shape when a section of the trail isn’t as pristine as the rest, and to be a bit more mindful of the hard work and often overlooked effort that goes into keeping almost all of the trail in great shape.